← Welcome to My Web Page! learn why it is important for kids and teens to learn about philosophy. be exposed to philosophy in a fashion that is fun for kids and teens, and relevant to their lives. The initial outreach program will focus on visiting classrooms in Kingston for children in grades 4-5. Teachers interested in arranging for a free, 45 minute interactive “What is Philosophy?” class can contact Colin Farrelly at farrelly@queensu.ca. (1) Crito’s lucky racing sandals have been stolen the day before he was suppose to race in the Athenian marathon! Help Socrates and Crito assess the evidence concerning who the most likely suspect is. (2) Socrates and Crito are intrigued by our use of elections and the idea of a “representative democracy” (vs a direct democracy). But what are the appropriate criteria for choosing the mayor of Kingston? Should we vote based on a candidate’s warm smile, favourite sports team, a promise to make us wealthier, their character, the principles and priorities they appeal to to try to help make the city flourish? (3) Crito has received a large inheritance of gold and wants to share it among his 3 best friends. Should he just divide the inheritance evenly amongst his 3 friends, or appeal to a principle of need, or a principle of desert? What would be a fair allocation in this case? The class will debate, and vote, to help Crito decide. Long-term outreach aspirations involve creating a “Day of Philosophy” for high school students to be hosted at Queen’s University. We are in the early stages of development so please stay tuned for more details. 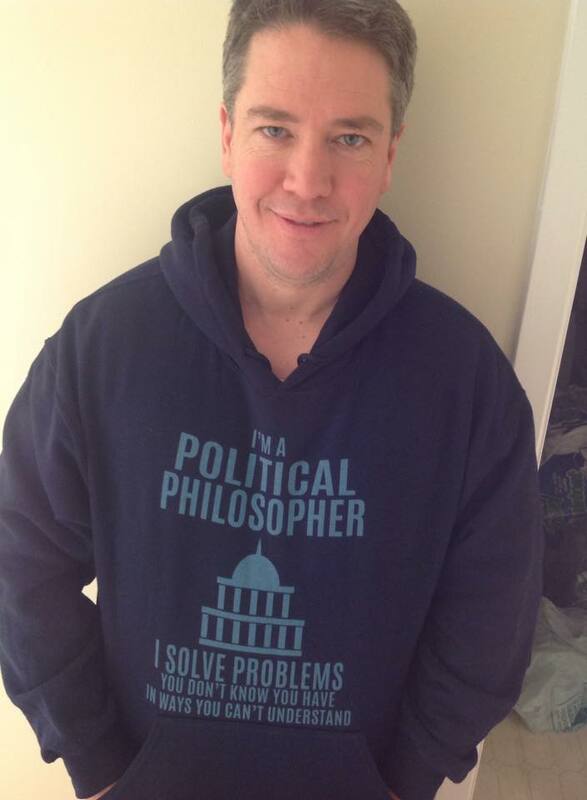 About Me: I am a political philosopher at Queen’s University and have 20+ years experience teaching at universities in Canada, England, Scotland and the United States. I have published widely on topics in philosophy, political science, medicine, law and science. I also have 10 years of experience reading to elementary school children, 14 years of experience coaching children soccer, and 4 years experience teaching political philosophy in prison. I am very passionate about philosophy, politics and education and ensuring we provide our children with the critical, analytical skills to live a flourishing life. I am a Professor and Queen's National Scholar in the Dept of Political Studies at Queen's University. This sounds like a great initiative. I’ll be sure to share with my primary school teacher friends. Many thanks Jonathan! It is a play-based interactive class using a smart board. The class takes a time machine back in time to Ancient Greece to meet Socrates and his friend Crito. The class then helps the two use their critical thinking skills to help solve a crime, and ponder some basic questions about voting and ethics.